As fall approaches, I hear winter calling as well. For me that means more indoors workouts and potentially more boredom in my workout routine, UNLESS, I use more Wii Fit. 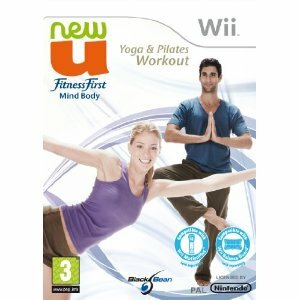 And as luck would have it, game designers are still creating new offerings for the Wii Fit. And while Wii Fit may not have a Tai Chi module ready for us, there is a new combination Yoga and Pilates program coming out for Wii Fit. According to Wii Fit Yoga blog here, there is a plan for a new Wii Fit module to incorporate both Yoga and Pilates exercises. It is being developed by a UK based developer and is slated for release on September 28, 2010. Videos with different framing and fully localized audio commentary. Check out some of the sample screens below!